CHARLOTTE, N.C., April 17, 2019 /PRNewswire/ -- Bringing more cost-effective solar energy to the Carolinas, 14 utility-scale projects have been selected during an independently judged bidding process – part of a 2017 comprehensive renewable energy law. Based on an independent evaluation process, Duke Energy will produce or purchase a total of 602 megawatts (MW) of renewable energy from projects under the North Carolina's Competitive Procurement of Renewable Energy (CPRE) program. 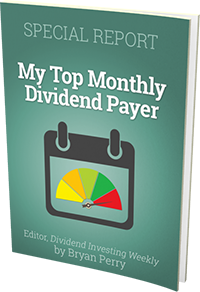 According to independent administrator Accion Group, customers will see savings of around $375 million over the 20-year contract period versus the company's Avoided Cost - the price at which many solar contracts had been set prior to the CPRE program. See the Accion report. "There was robust interest in the CPRE program, and the selected projects will provide 20 years of cost-effective energy to the Duke Energy system. Given the response, we are expecting the next phase of the program to also bring cost savings to customers," said Harry Judd of the Accion Group, which independently administered the solicitation process. The 14 projects represent the most competitive of the 78 that were submitted when bidding opened last July. The process used was approved by the North Carolina Utilities Commission (NCUC) to select projects that would deliver the greatest cost and system benefits to customers. "As solar energy expands in the Carolinas, the competitive bidding process will lead to better prices and more geographic diversity of projects," said Rob Caldwell, senior vice president and president of Duke Energy Renewables & Business Development. "This will enhance Duke Energy's efforts to promote a cleaner energy mix at lower prices for customers." With the winning projects selected, Duke Energy and the winning bidders will execute contracts for the projects over the next few months. Once the contracting process is complete, Duke Energy and Accion Group will finalize a report of all projects to be filed with the NCUC around June 2019. Most projects are targeted to be online around the end of 2020. However, the dates may vary depending upon local approvals and any construction delays. There were 10 projects selected from North Carolina and four projects from South Carolina. Two projects selected included battery storage with the solar facility. They were not Duke Energy projects. Duke Energy was awarded six projects totaling about 270 MW – representing almost 45 percent of the total awarded. With 40 solar projects already in North Carolina, the final results showcase Duke Energy's competitiveness at building solar power plants. Duke Energy Carolinas: 69-MW – Catawba County, N.C.
Duke Energy Carolinas: 25-MW – Gaston County, N.C.
Duke Energy Renewables: 50-MW – Cleveland County, N.C.
Duke Energy Renewables: 22.6-MW – Surry County, N.C.
Duke Energy Renewables: 22.6-MW – Cabarrus/Stanly counties, N.C.
Duke Energy Progress: 80-MW – Onslow County, N.C.
One of the provisions of 2017's "Competitive Energy Solutions for North Carolina" law was a process that would create a competitive bidding structure for solar energy. Projects can be built anywhere on the Duke Energy system in North Carolina or South Carolina. The bids can come from any company, including Duke Energy, and can be in the form of power purchase agreements (PPA), utility self-developed facilities or utility asset acquisitions. "Duke Energy companies will complete six of the 14 winning projects – a strong reflection of how competitive we are in the open market at building renewable energy projects," added Caldwell. Duke Energy is one of the nation's leading renewable energy companies, and has invested more than $6 billion in renewable energy. The company operates more than 20 wind facilities and 60 solar facilities in about 20 states around the nation. 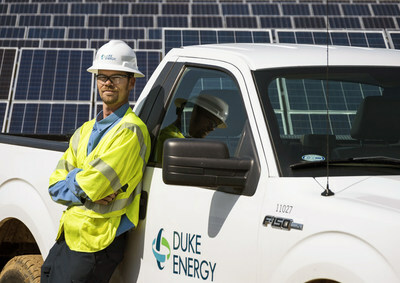 Duke Energy already has more than 3,000 MW of solar capacity connected to its grid in the Carolinas, which includes those owned by Duke Energy and those owned by other companies. It expects to invest or procure a total of 7,000 MW by 2025. Overall, North Carolina is the No. 2 state in the nation for solar power generation, and South Carolina is one of the fastest-growing states for solar in the nation. Duke Energy (NYSE:DUK), a Fortune 125 company headquartered in Charlotte, N.C., is one of the largest energy holding companies in the U.S. It employs 30,000 people and has an electric generating capacity of 51,000 megawatts through its regulated utilities and 3,000 megawatts through its nonregulated Duke Energy Renewables unit. Duke Energy was named to Fortune's 2019 "World's Most Admired Companies" list and Forbes' 2018 "America's Best Employers" list. More information about the company is available at duke-energy.com. The Duke Energy News Center contains news releases, fact sheets, photos, videos and other materials. Duke Energy's illumination features stories about people, innovations, community topics and environmental issues. Follow Duke Energy on Twitter, LinkedIn, Instagram and Facebook.